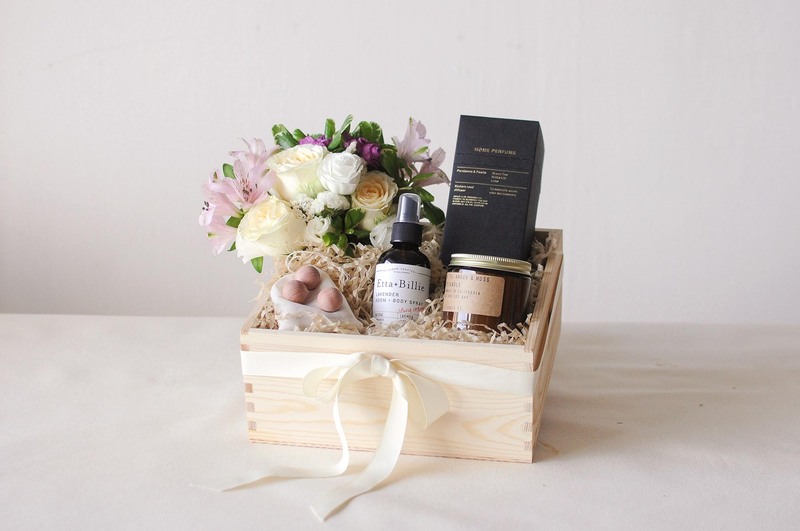 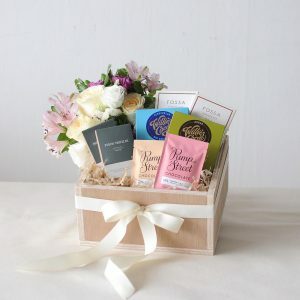 Smells have the power to evoke emotion as much as flowers do; the Home Fragrance gift box aims to elevate the senses and lift one’s mood. 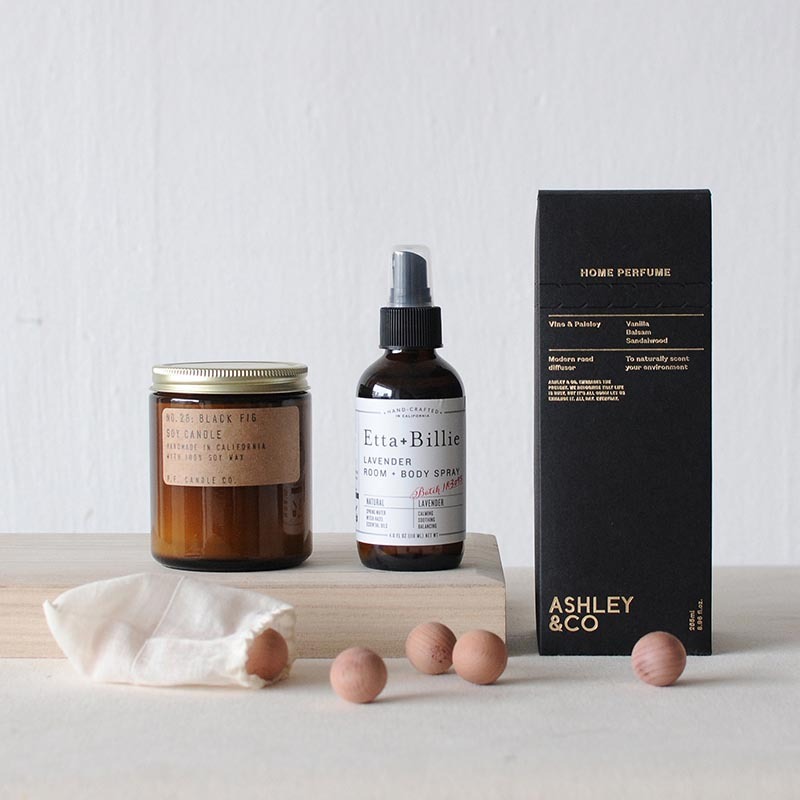 Featuring three different forms of home fragrances, each of these brands have been selected for their use of natural scents and their commitment to using only the highest quality of ingredients. 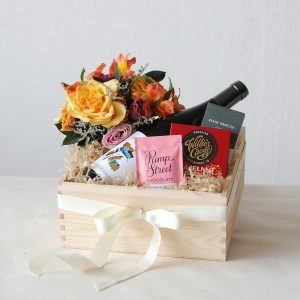 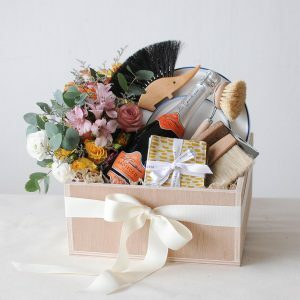 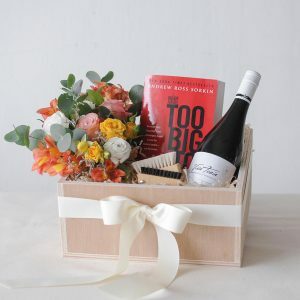 A floral posy makes the perfect accompaniment for the enjoyment of this box in any home.